Our amazing Groowah is now available as a high-grade ceramics version - made in Germany. The Ceramic Groowah sounds even more bright, intense and penetrating. 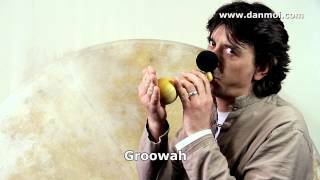 As like the wooden Groowah its sound is produced by means of a reed and varied in pitch, depending on the strength of the airflow. 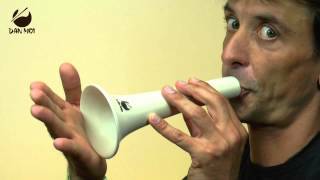 Here, too, the sound can be altered further by opening and closing the resonating cone with your hand. A rhythmic, dynamic blowing technique opens countless opportunities for producing a wealth unexpected sounds. Below you can see the video clip of the Wooden Groowah to see how it works - it's pretty much the same way. The sound samples are from the Ceramic versions.